After Krita 2.4 is released the development for Krita 2.5 is progressing. The first feature that I added for 2.5 is a the new composition docker. It’s based on a request by David Revoy, who also did the storyboards for Mango (they are shooting currently, with a very cool behind the scenes livestream) in Krita. The idea behind the compositions docker is very simply. It saves the visibility of all layers and can restore them. 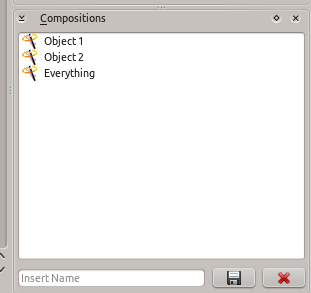 Composition are also stored to file if you use Krita’s native fileformat. This is very useful e.g. for cartoons were characters are in different situations over the same background or movie storyboards. Beside that it can also be used with different combinations of filters e.g. to simulate different color moods. You are currently browsing the Sven's Blog blog archives for May, 2012.